Electric Monkey Pants: Happy Dragonfly is happy! 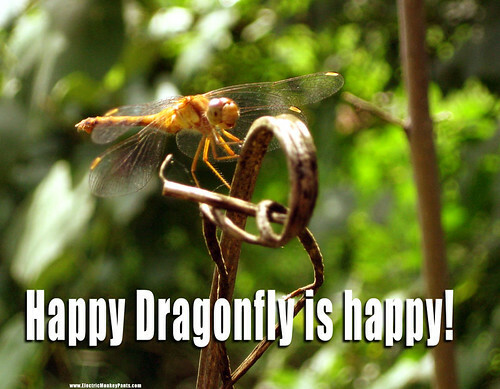 I took this photo the other day and noticed what a huge grin this little dragonfly seems to have. I'm glad she's happy; it was a beautiful day and she's the only creature in my backyard my cat didn't manage to kill or maim.